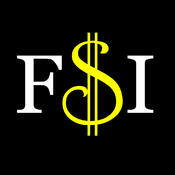 If you are part of your company’s F&I operations, you probably know how important F&I is to your dealers profits. The general trend over the past decade has seen an increase in the importance of F&I. NADA reported that F&I contributed to 39% of the gross profit for new and used vehicles. F&I also contributes directly to OEM profits via captive finance/leasing and expanded vehicle protection and enhancement products. With that in mind, here’s a look at some areas in F&I that can be improved and lead to even greater profitability. The total length of time to sell a vehicle is extremely important to the prospective buyer. 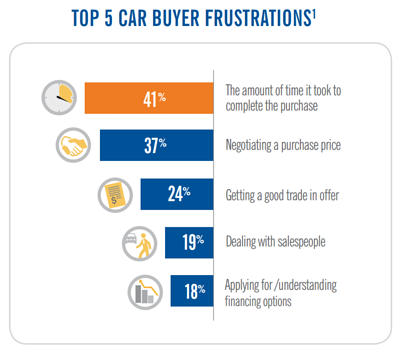 In fact, the amount of time it takes to purchase a vehicle was listed as the biggest source of frustration for buyers. The typical consumer views the optimal time to purchase a vehicle as 90 minutes (2x as long as the current average time), with consumer satisfaction declining rapidly from that point on. The average time for the F&I process alone is over 60 minutes. So ⅔ of the optimal time for a consumer purchase is already consumed by the F&I process. Ideally, we would like the consumer to spend the majority of their time with the sales consultant, because F&I becomes irrelevant if we don’t close the sale first. Consumers are demanding more transparency, another area where the current F&I process is seen lacking. Consumers would prefer to be more engaged in the process with the benefits and options presented earlier in the process, including viewing it during their online shopping experience. They would also like to be able to see more detailed and comparative information about their choices, to make it easier to compare costs vs. benefits. More than half of the F&I process is taken up by walking the car buyer through their options and explaining the benefits. Ideally, the options would be defined earlier in the process and the customer presented with a customized menu based upon their type of deal, credit rating, and type of vehicle. For example, a lease versus purchase deal would have different F&I options, and this could be communicated to the F&I person before the customer interacts with them. Once the customer has agreed to the purchase, the preliminary F&I process can now proceed in tandem with the rest of the sales process. This would greatly accelerate the buyer’s journey and help with transparency as well. 1) Mindset: The first step towards improving your F&I program is to acknowledge that the old ways of doing things are becoming less effective and no longer match consumer expectations. An old adage says “Change is inevitable, but growth is optional”. Seeing the need for change as an opportunity rather than another hurdle is a good start towards reframing the conversation and getting buy-in from within your team. 2) Procedural: Follow the desires of the consumer and begin the F&I process earlier. This could begin initially with starting the process earlier within the dealership experience (rather than after the sale) and then progressing towards offering some F&I information during the consumer's initial web search. This would educate the potential buyer without the impression of “selling”. F&I has real benefits to the consumer, and educating them ahead of visiting the dealership could increase trust and compliance. 3) Technical: One of the biggest hurdles to revamping the F&I process is the lack of integration between all of the touchpoints that occur during the sales process. The first step is to remove all pens, pencils, crayons and paper from the dealership. Extreme? Maybe so, but you get the idea. Data that is not captured digitally must be manually entered into one or more systems. This slows down the process, increases the chance of errors, and presents a poor image to tech-savvy consumers. Once a paperless process has been instituted, we come up against another hurdle, the lack of data integration. There are an abundance of good F&I programs, but the key drawback is often they are not fully integrated into all of the touchpoints. This lack of integration means manually transferring data between systems and this lack of integration is the root cause of many of the problems listed above, especially total time in the dealership. While we are often attracted to the latest shiny new software, we must keep in mind that integration often trumps features. So the key to a truly optimized F&I business rests upon integrating all of the dealer’s systems with each other and with the OEM’s data systems. New technologies make retail integration easier and more cost effective than ever before. Automotive sales have been especially strong in the last several years and are expected to continue this year. Taking into account the cyclical nature of the automotive industry, we should use these “good times” to invest in the future, and prepare for the day when maximizing profits is especially important. There may never be a better time to transform your company’s F&I process and deepen this critical revenue channel.